Do you worry about your child walking home from the bus stop alone? Concerned that your child may be being bullied? 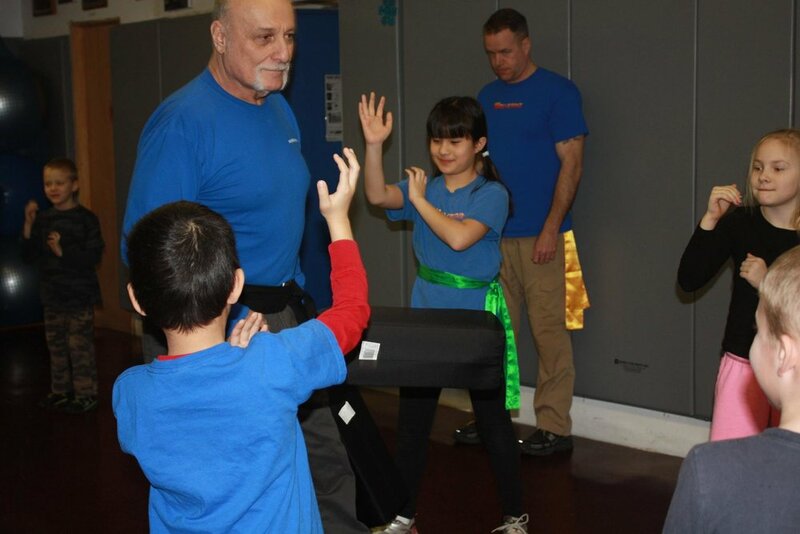 In our Wolverinz Martial Arts & Leadership Program, kids ages 5 - 14 learn practical anti-bullying, anti-abduction and self defense techniques. Instructors encourage development of leadership skills, teamwork and confidence, as well as embracing being a role model. Call 631-226-8383 or email info@modernwarrior.com to schedule your child’s FREE trial class. Multiple opponent confrontation is one of our specialties in the Bo Fung Do Weekly Martial Arts Program for ages 15+. An extension of Wing Chun Kung Fu, Bruce Lee’s style, it is a practical, dynamic program that will give you the edge you need to win a life or death confrontation. You’ll learn to effectively block, kick and strike while you’re on the ground, as well as essentials to capitalize on your environment. We offer a high student to instructor ratio to ensure each student receives the attention they deserve. The program is ongoing, so you can join anytime. Call 631-226-8383 or email info@modernwarrior.com to schedule your FREE trial class. Do you have physical limitations? Are you 55+? Do you want to learn life-saving tactics and techniques that are low-impact, practical, and highly effective? The Modern Warrior Silverbacks Program is perfect for people with limited mobility or range of motion, and those who utilize a cane, a walker or a wheelchair. Take your safety into your own hands! Enjoy your peace of mind, as you learn how to use everyday items in your environment as self defense tools!